The term "vaporware" was first used in reference to what company's product? Typically used to describe a product that has been announced but never launched, "vaporware" was reportedly coined by a Microsoft engineer (either John Ulett or Mark Ursino) when being asked about the state of the company's Xenix operating system by Ann Winblad, president of Open Systems Accounting Software. The word went on to be popularized by writer Esther Dyson after she used it her November 1983 issue of RELease 1.0. Unix was developed by Bell Labs and licensed by AT&T to outfits such as Microsoft who had to choose a unique name for their version -- Xenix in this case -- which Microsoft licensed to companies including IBM, Intel, Tandy and SCO, although Xenix was never sold directly to end users. 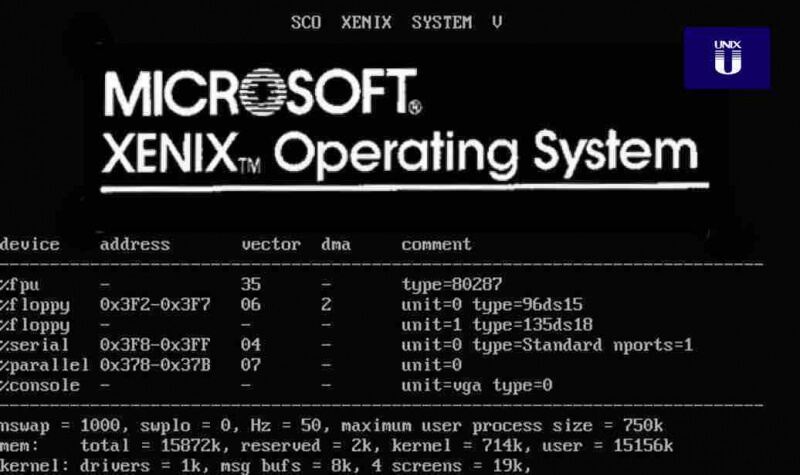 In 1987, Microsoft sold Xenix to SCO, which ported it to the 32-bit 386 CPU. Microsoft reportedly used Xenix on Sun workstations and VAX minicomputers as late as 1992.